Jamie wins Engineer of the Year! 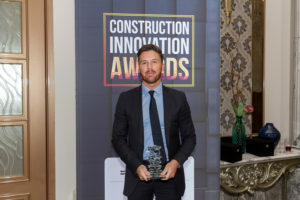 Jamie Darragh, an Electrical Associate Director, based in our Dubai office has won ‘Engineer of the Year’ at the 2018 Construction Innovation Awards. The CIA recognise and honour the achievements of construction professionals in the Middle East. 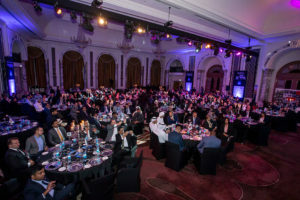 Over 400 company executives and senior team members attended the gala dinner awards, held at Habtoor Palace in Dubai. Jamie was shortlisted from a strong field of contenders from BuroHappold Engineering, DOW and Parsons. The awards ceremony began with a speech by the CEO of the publishing Group who highlighted his company’s aim to acknowledge excellence within the industry. Jamie is a chartered engineer, with a wealth of knowledge across all sectors. He Joined Black & White in 2014 as Principal Engineer and progressed to Associate Director in 2017, aged just 29. He plays a key role in all aspects of the business from project delivery to technical improvements and business development. He sits on the regional CIBSE UAE committee and actively promotes our profession in the region. 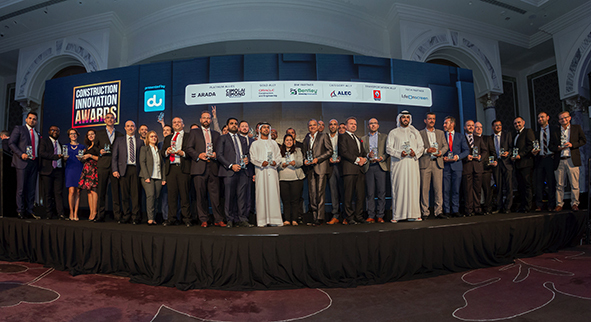 This win builds upon existing personal recognition winning ‘Young Engineer of the Year’ at the 2015 Construction Week Online Middle East MEP awards and ‘Electrical Engineer of the Year’ at the 2017 ITP Publishing Middle East MEP Awards. Jamie is also a finalist in the ‘Rising Star of the Year’ category at this year’s Middle East Economic Digest Awards 2018 held this November.